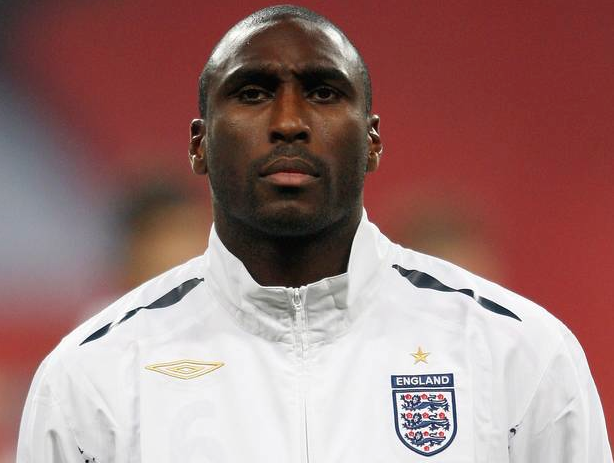 Former England football international, Sulzeer Jeremiah “Sol” Campbell, has launched a controversial attack towards the English Football Association (The FA) accusing them of being racist. The 39-year-old, who played for Arsenal, Tottenham, Portsmouth and Newcastle United, has said the FA and the England fans were and are unfavorable towards a Black or mixed-race Captain for the National team. Campbell, who earned 79 caps for England, has said in his biography “If I was White, I would have been Captain for 10 years. It’s as simple as that”. Campbell did in fact captain the national side however only in friendly matches against Belgium, Czech Republic and United States. This entry was posted in Football and tagged Brad Eveleigh, England, English Football Association, FOOTBALL, Micheal Owen, Owen, Racism, soccer, Sol Campbell, The FA on March 3, 2014 by bradeveleigh. This entry was posted in Football, Uncategorized and tagged FIFA, FOOTBALL, Football rankings, soccer, World Rankings, World Soccer on February 14, 2014 by bradeveleigh. Group A: Brazil, Croatia, Mexico, Cameroon. Group B: Spain, Netherlands, Chile, Australia. Group C: Colombia, Greece, Ivory Coast, Japan. Group D: Uruguay, Costa Rica, England, Italy. Group E: Switzerland, Ecuador, France, Honduras. Group F: Argentina, Bosnia-Hercegovina, Iran, Nigeria. Group G: Germany, Ghana, Portugal, USA. Group H: Belgium, Algeria, Russia, South Korea. This entry was posted in More Sport and tagged FIFA, fifa world cup, FOOTBALL, soccer, World Cup, World Cup Draw on December 6, 2013 by karenunchained. 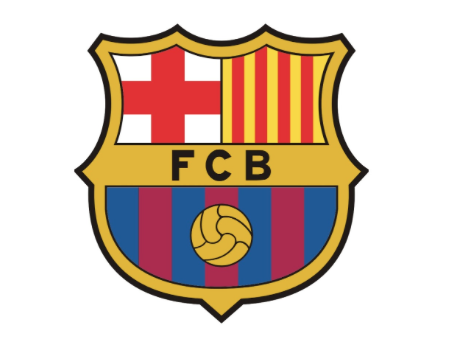 Group Stage configurations will be drawn December 6, 5pm GMT at the World Cup finals ceremony. 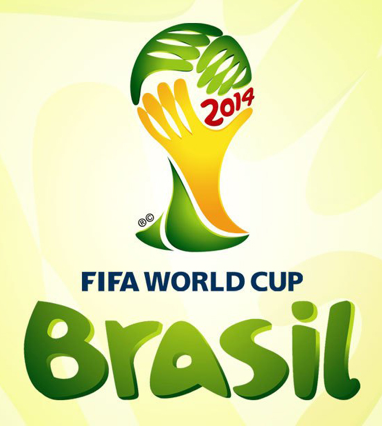 FIFA World Cup 2014 begins on Thursday, June 12, 2014. 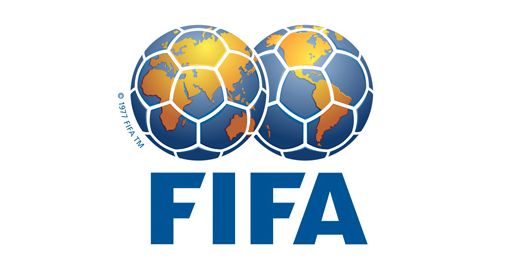 This entry was posted in Football and tagged #WC2014, Algeria, Argentina, Australia, Belgium, Bosnia-Herzegovina, Brazil, Cameroon, Côte d'Ivoire, Chile, Colombia, Costa Rica, Croatia, Ecuador, England, FIFA, fifa world cup, FOOTBALL, France, Germany, Ghana, Greece, Honduras, Iran, Italy, Ivory Coast, Japan, Korea Republic, Mexico, Netherlands, Nigeria, Portugal, RIO, RIO2014, russia, soccer, Spain, Switzerland, United States, Uruguay, USA on November 21, 2013 by bradeveleigh. 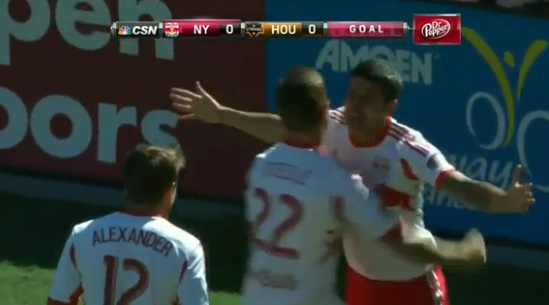 Australian Tim Cahill has scored the fastest goal in Major League Soccer history for the New York Red Bulls against the Huston Dynamo in just 7 seconds Sunday evening. Cahill took one touch to to control a Dax McCarty’s them blasted a half-volley into the top right corner past goalkeeper Tally Hall for the new record. This entry was posted in Audio, Football, Uncategorized and tagged Cahill, Dax McCarty, FOOTBALL, Huston Dynamo, Major League Soccer, Mike Petke, MLS, New York Red Bulls, Red Bull New York, soccer, Tally Hall, Tim Cahill, United States on October 20, 2013 by bradeveleigh.